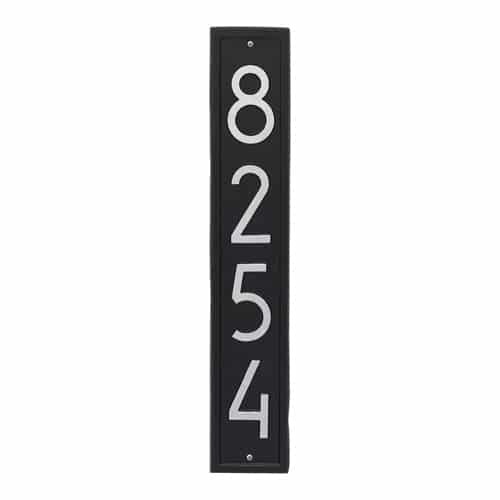 Mark your home address with the Whitehall vertical address plaque, shown in Black with Silver house address numbers. Ideal for installation on your home’s columns, lawn marker, or mailbox post. 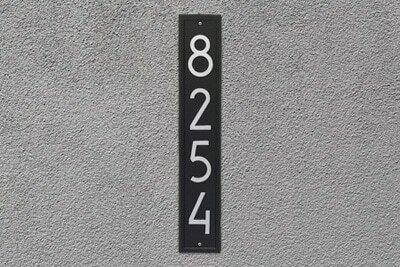 Like all Whitehall wall address plaques, this vertical house address plaque is protected by Whitehall’s all new Alumi-Shield coating. 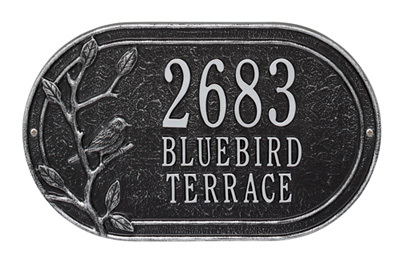 This coating is designed to provide a durable and beautiful finish that keeps the plaque looking great for years to come while protecting against weather and environmental elements. 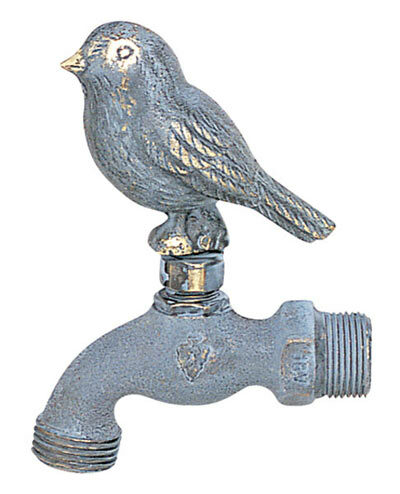 Comes with industry leading 5-year warranty. 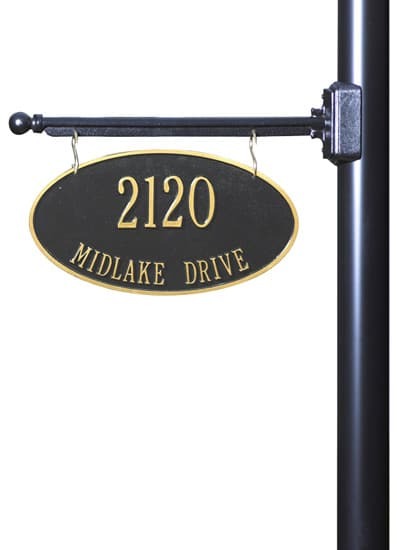 This cast aluminum address plaque has a heavy-duty powder coated finish and is built to withstand any weather condition. Customize this vertical wall address plaque with up to five 4″ address numbers. 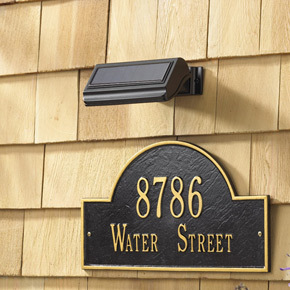 Make it easy for guests to spot your home at night with the optional solar lamp. 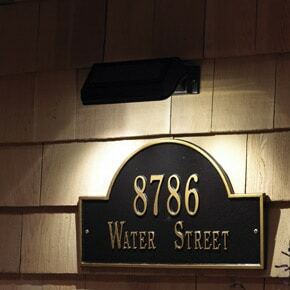 The solar lamp will automatically turn on at dusk and stay lit for up to 14 hours. At dawn, the lamp will automatically turn off. 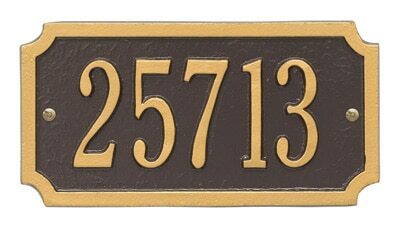 Address Plaque 23.25" 4.25" 0.325"